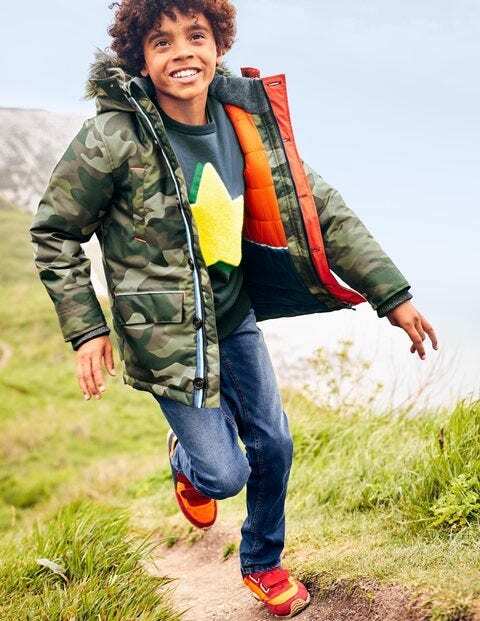 Keep cosy in chilly conditions (as low as -18°C, to be precise) with this 100% waterproof parka. It's got detachable faux fur, a shaggy hood lining and storm cuffs to trap warmth. The patch pockets are ideal for storing gloves and keeping fingers toasty, while reflective piping adds a safe touch for outdoor adventures after dark.